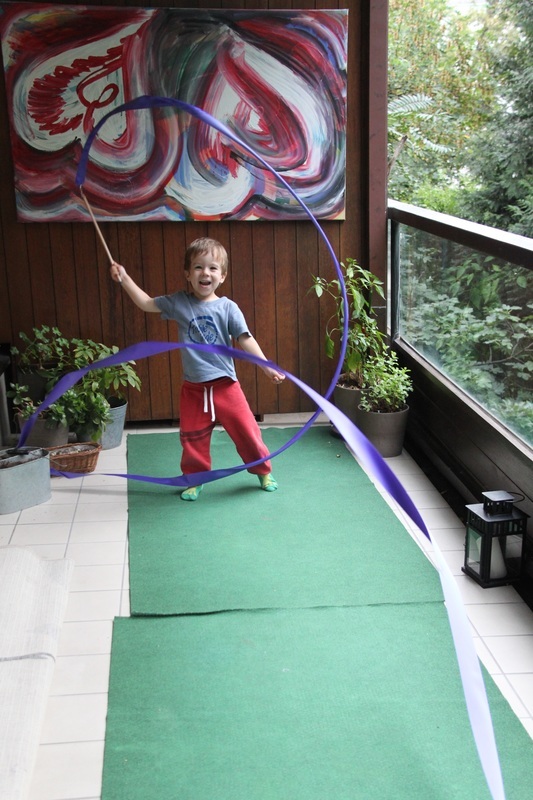 The ribbon must be in one piece. 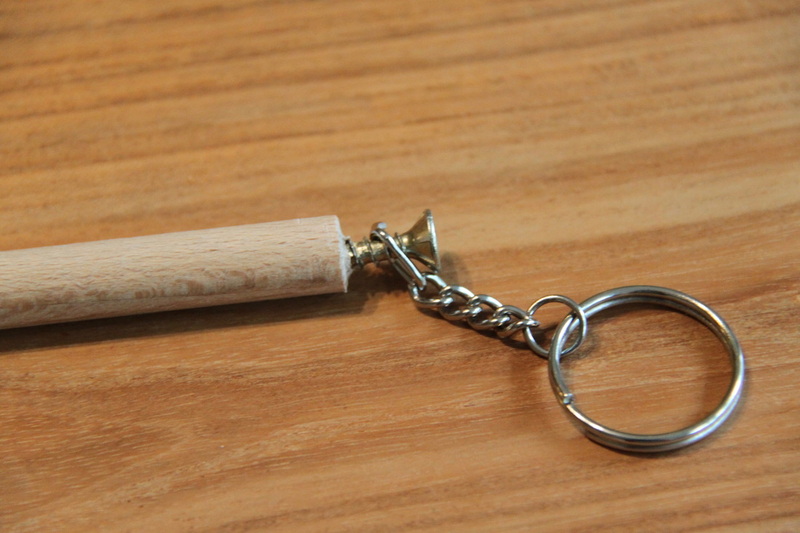 The end that is attached to the stick is doubled for a maximum length of 1m (3'). This is stitched down both sides. 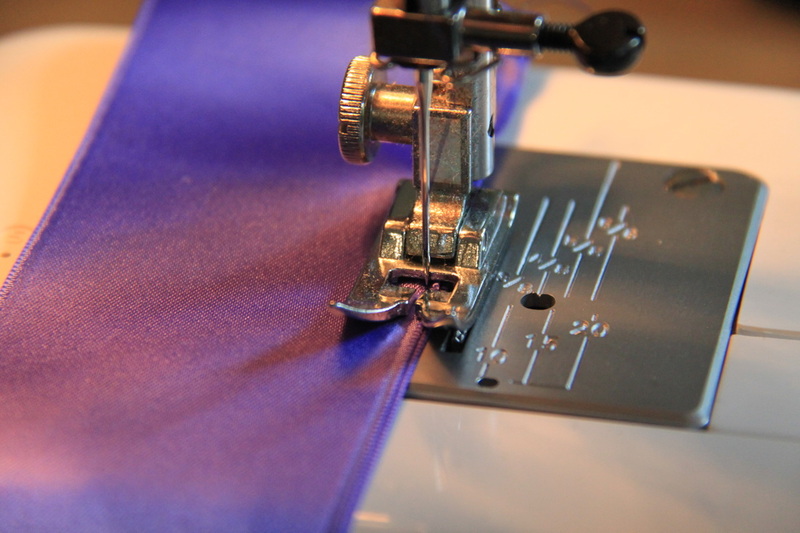 At the top, a very thin reinforcement or rows of machine stitching for a maximum length of 5 cm is authorized. 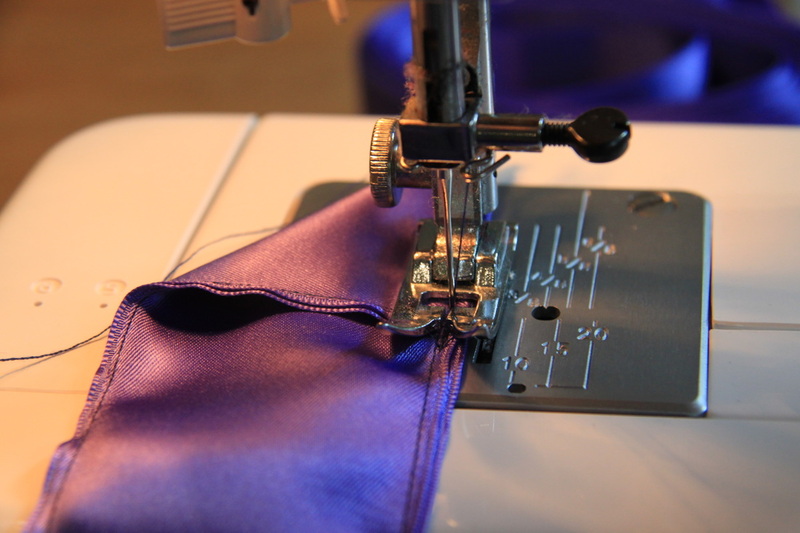 This extremity may end in a strap, or have an eyelet (a small hole, edged with buttonhole stitch or a metal circle), to permit attaching the ribbon). 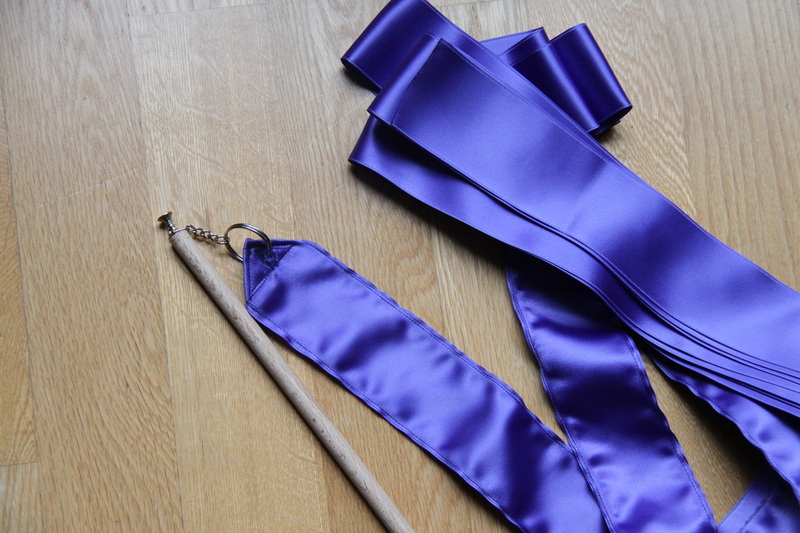 a supple strap (of string or nylon) held in place by a nylon thread wound round the stick for a maximum 5 cm (2"). 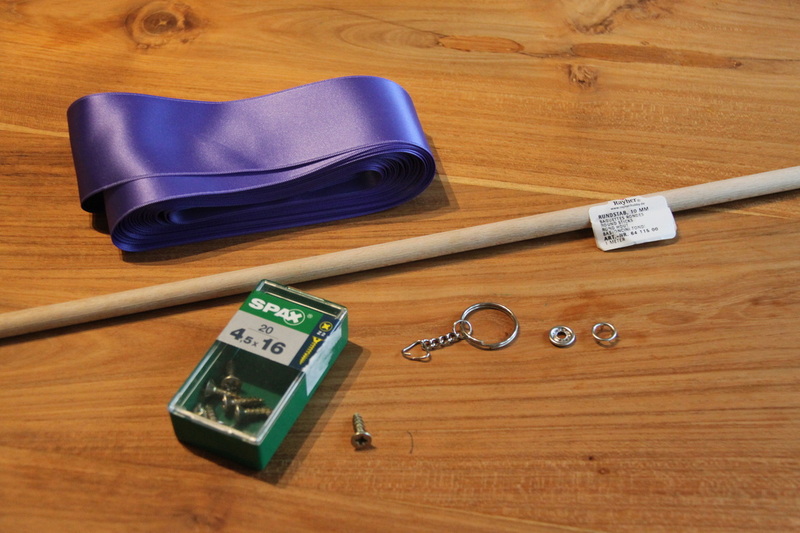 Step 1: attach your hook or screw on the dowel. 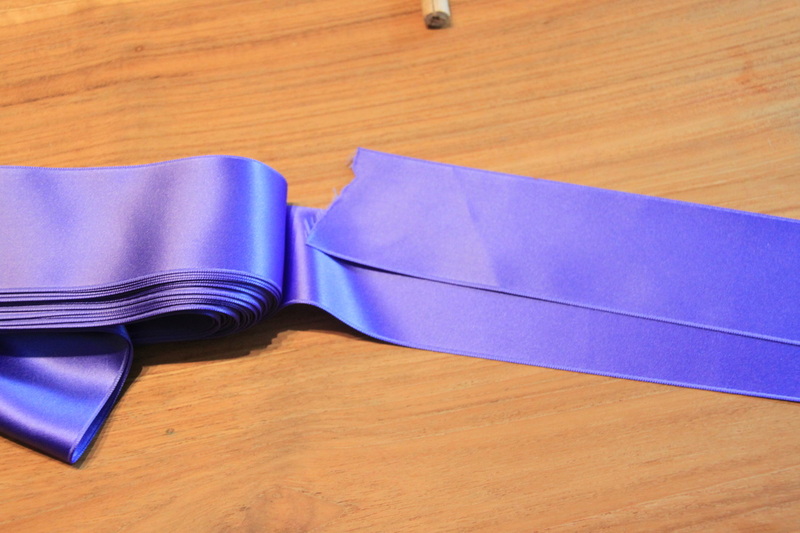 Step 3: measure your (up to) 1 meter of ribbon to be doubled. 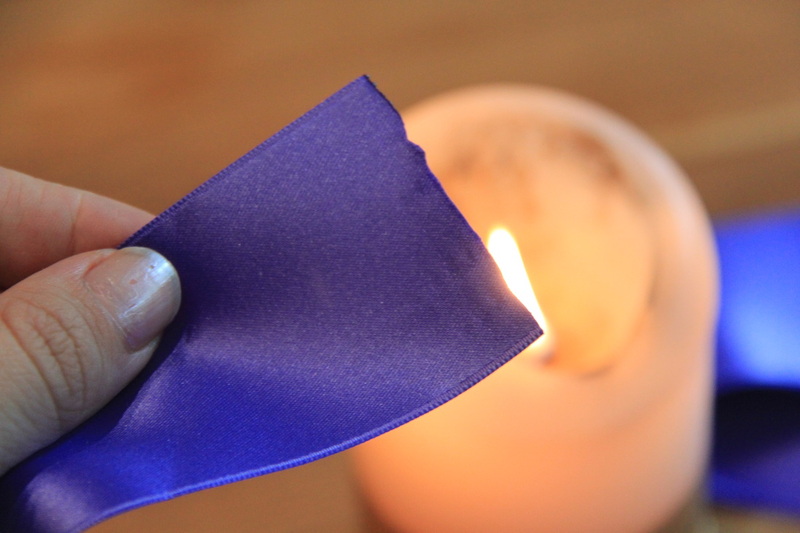 Step 4: fix the ends of the ribbon with a candle or glue. 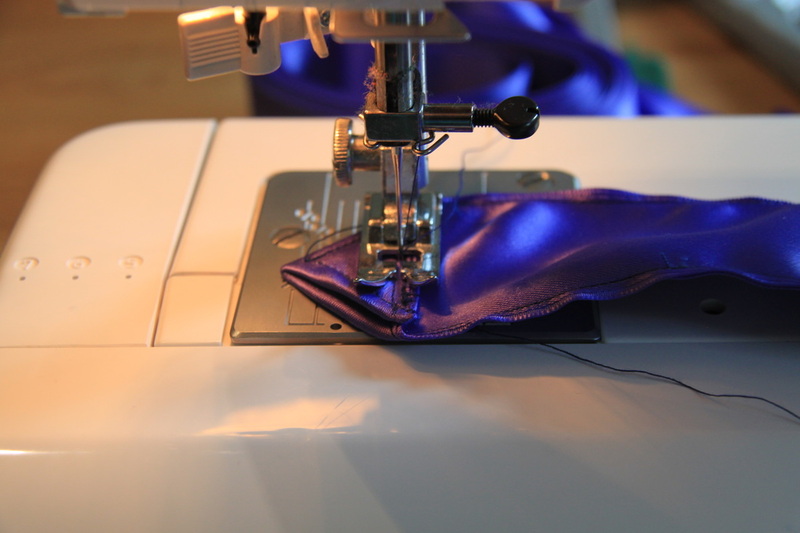 Step 5: Stitch together the doubled first meter of the ribbon. 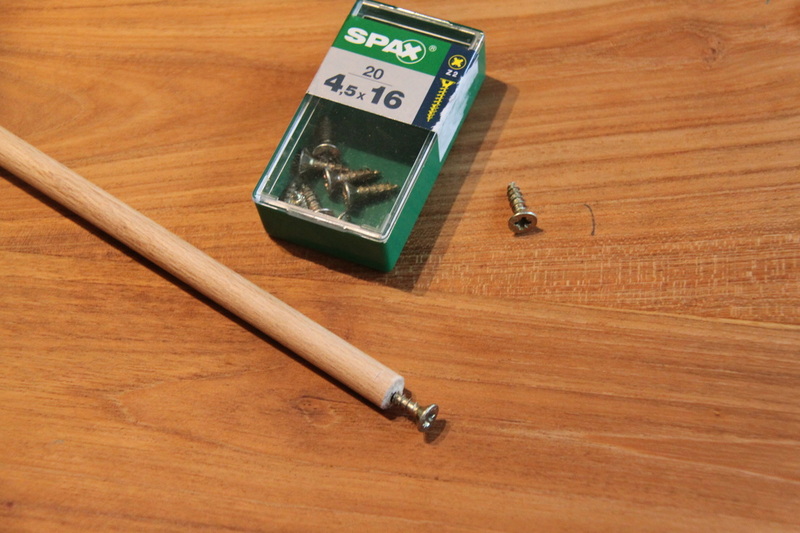 Step 6: Reinforce the end (up to 5 cm). 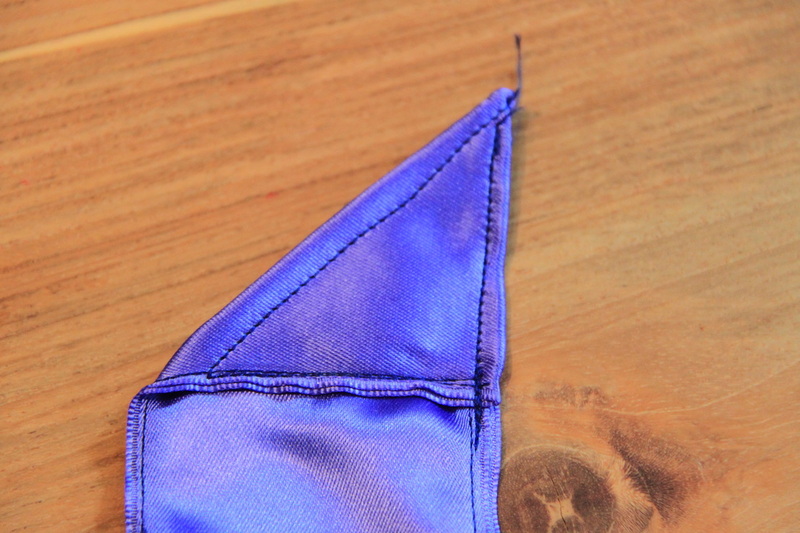 Step 7: Your eyelet. 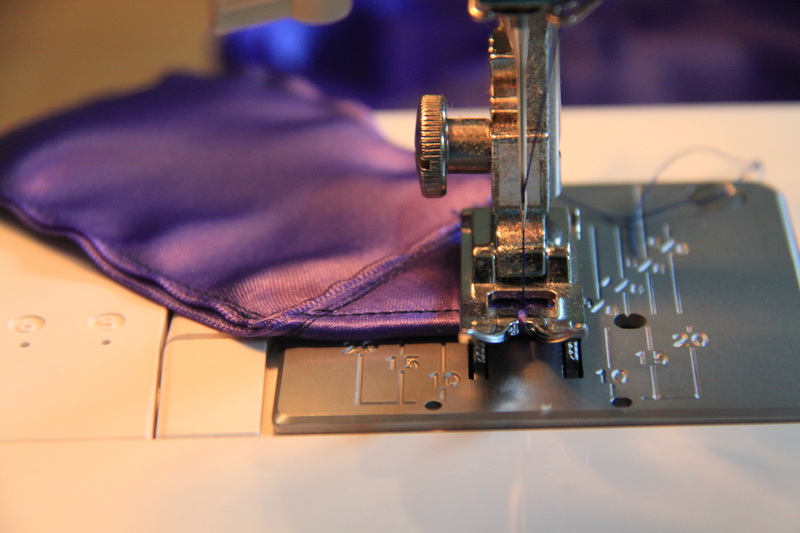 I had the intention of adding a metal circle with my Kam snap pliers, but my reinforcement resulted so thick I had to use a buttonhole instead. You can tell it's my first one, like, ever. But it gets the job done. 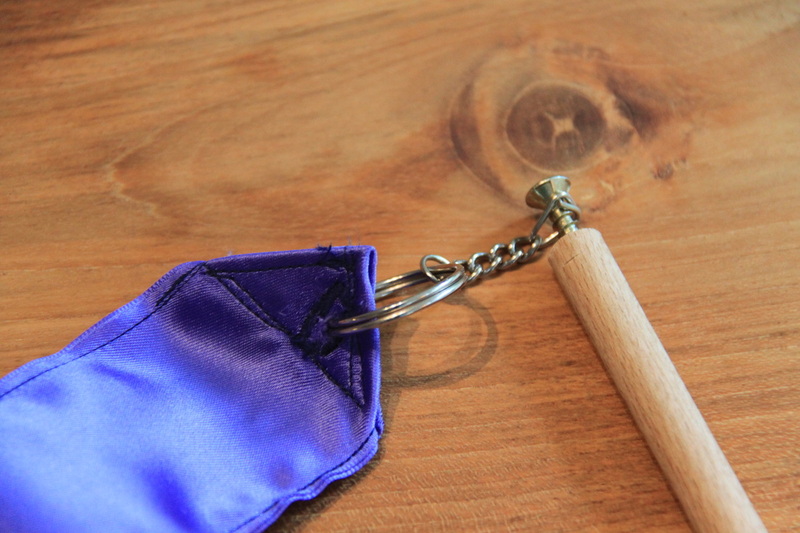 Just attach your keychain to it. Believe it or not, you are ready! Now go test it and enjoy. Or, you just get in line, cause your whole family wants to test it before you. Happy crafting!